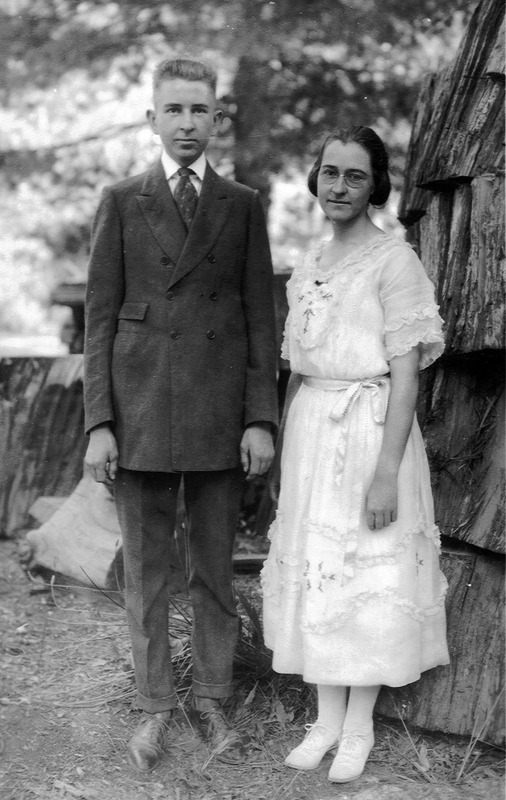 Grace, standing here with her younger brother, Arthur, is dressed up for a wedding. Specifically, the wedding of Mary Curry and Tressider. Grace took on the role of mothering her younger brother after their parents were killed in the auto accident which occurred on September 3, 1911. They had a father to turn to, but no mother. AEtheline was very unwilling to do anything in the matter and signed a paper giving her consent for her husband to adopt the children only grudgingly. Grace told me this while I was visiting her in 1972. Living six months of the year in Yosemite made the matter easier for everyone. 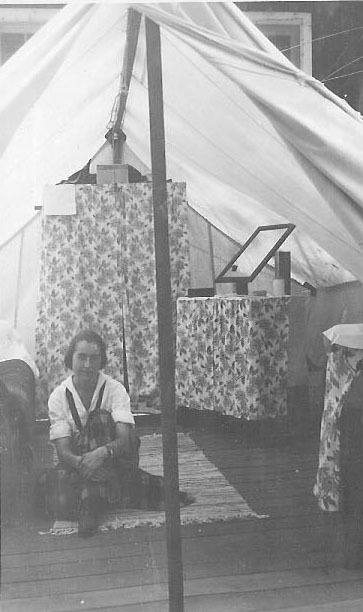 Grace spent two summer with her Aunt Cora in Auburn, California and was much missed at the Studio of the Three Arrows. Grace married Arthur Young on October , 1923 and they had two sons, Clifford and Calvin. Grace's best friends in Yosemite were also the daughters of photographer concessionaires. These were Ellen Boysen and Virginia Best. Her personal album, which was drawn from the thousands of photos her Dad took of the kids growing up, was filled with happy memories for her and her family. Just like her brothers, she climbed Half Dome to help their father take photos to to used as post cards and sold as prints or to magazine and books as illustrations. Grace, her brother Arthur said, was efficient and got things done. Grace and her new husband settled in Walnut Creek and stayed there all of their lives. Grace died there.